Now don't ask anyone about preference order after reading this post. Here are a few points you need to remember while applying for SSC CGL exam and filling your SSC CGL Post Descriptions and Preference Order. 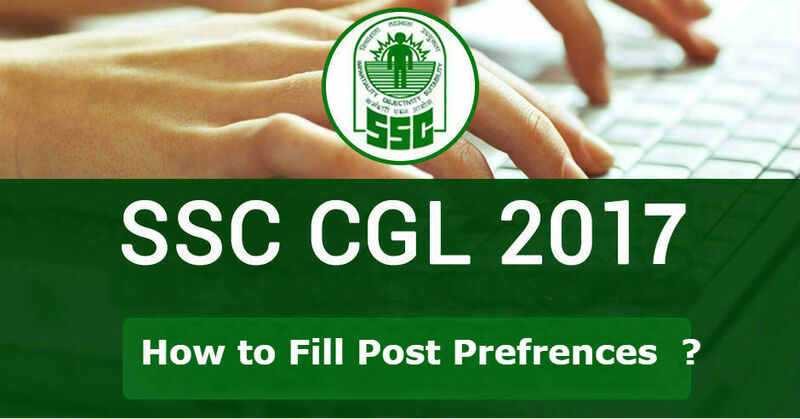 You have to fill total 30 different post in order of your preference at the time of filling up of SSC CGL 2017 Application Form. Here is the list of all the SSC CGL 2017 Post along with SSC CGL Post Descriptions and Preference Order, Grade Pay, Posting, Nature of work & Career Path. Nature of work –Update case files, contact respective depts. to collect required info, record keeping etc. 1. Sectional officer, in about 7-8 years. Nature of work –Clerical work; compiling files, reports and many kinds of paper work. Nature of work – Clerical but above upper division clerk (LDC), Good perks such as free & discounted railway pass for travelling anywhere in India, Considered one of the most favourite posts. Vacancies – Fewerposts compared to CAG. Now, you all are aware of the SSC CGL Post Descriptions and Preference Order along with job description & nature of work of each post. Each one of has different priorities in life. For example, someone might want to have posting in home state or Delhi. Some might want better work environment or money. So on and so forth. Hence, define your priorities. Know, what is more important to you. And based on that order make changes to the above given preference order.